Open the pdf of the document in another tab. Draft “W” monogram logo with radiant embellishment. WindsorUrban symbol and type draft. Windsor Heritage Draft “WH” Monogram logo. Windsor Heritage draft metal badge for product trimming. When commissioned to produce a business or product logo for the likes of Christchurch manufacturer of street lighting and urban furniture WindsorUrban I begin by researching the market niche, drawing rough thumbnails in my sketchbook and playing with type on the computer. The purpose is to visually and strategically explore a diverse set of logo options. I understand that making a formally successful logo is good, but making a logo design that is formally successful and communicates as a base for all the client’s endeavours, marketing communication, intra-company culture, business-to-business is critical. To open the pdf of the presentation document, click on the image. A strong logo and following visual system is one of a businesses key assets. In a competitive world the need for distinct corporate identity is central. As a designer, I take commonplace letterforms, geometric shapes, and images and develop them into distinctive and meaningful brands. The breadth of opportunity and the possibilities for a designer involvement in multiple media, combined with contributing to the marketing strategies of my clients’ businesses, make a business logo more than decoration; it is a component that contributes to a company’s success. The logo and supportive visual system must not only talk to the external audience, but must also provide a clear intent to the firm’s internal audience. The logo will be handled and mishandled by in-house departments, outside consultants, advertising agencies, and web designers. A simple mark for identification is not sufficient. A clear message conveyed to a wide audience consistently over time is paramount. “Ownership” of the logo is needed, not only by the creative designer and client, but by the market audience as well. A recognizable symbol used to indicate ownership or origin of goods and services. A name or symbol used to show that a product is made by a particular company and legally registered. A distinctive mark, or combination of visual forms. A graphics standards manual may call for the “signature” to be applied to the cover of all brochures. Signature is simply a synonym for “logo”. Draft wordmark typographic logo with luminaire pictorial add-on. A wordmark uses the company name with type-only proprietary letterforms. A type-only logo concept can be stretched with pictorial elements added to straightforward typography. Responding to these creative notions whenever the impulse suggests, may prove to lead to a better solution with a more amplified personality and a logo that suggests the words’ meaning through imagery. The proliferation of logos makes the distinct recognition of symbols difficult. Using the entire business name sidesteps the problem of business logo recognition. For example MacBook Pro. If not handled skilfully, a wordmark alone risks being generic and lacking in the associative value of remembering the name and type of product or service that it is intending to brand. For example DELL. The symbol is the iconic portion of a logo: The Apple symbolic apple with a bite out of it. At times the logo symbol may exist separate from the wordmark, examples being the Puma swoosh, Apple’s apple, and the Mercedes Benz tri-star. WindsorUrban symbol and type logo draft. The benefit of utilizing a symbol alone follows the idea that “a picture is worth a thousand words.’ The eye/ear symbol is easier to read on an object such as a computer or a cap, than say the name Westpac Banking Corporation. If the symbol should be separated from the wordmark and the mark does not have sufficient brand equity it will be difficult for some people to recognize it. A design of one or more letters, usually the initials of a name, used to identify a company, service, publication, person, object, idea or process. The monogram solves the associative memory and legibility issues. Fitting Christchurch Earthquake Recovery Administration on a one quarter page newspaper ad is much harder than using the CERA monogram. Monograms are often seen masquerading as logos. Generic initials, treated in clever ways may look better on towels or glasses than on a corporate business card. Initials woven together for new businesses are more or less meaningless. Most monogramatic logos, for example IBM, depend on a long tail of historically being know as International Business Machines and subsequent large-scale audience contact and repeated viewing for the recognition of the Monogram to be good enough. The identity is not a brand. The brand is the perception formed by the audience about a company, person, or idea. This perception is the culmination of logo, visuals, identity program, messages, products, and actions. A designer cannot “make” a brand. Only the audience can do this. The designer forms the foundation of the message with the logo and identity system. Who is the client WindsorUrban? WindsorUrban have been a manufacturer of street lighting and urban furniture in Christchurch since 1976. Their workshop, through its sister company SpunLite Poles, have produced urban lighting products on-site in Christchurch continuously since 1962, which makes WindsorUrban the longest established manufacturer of streetlighting and street furniture in New Zealand. Their market ranges from urban property developers to city councils and central government agencies. What are their long term goals? Interviewing the client revealed that what the client wanted to be in the next five years was the leading provider of LED street lighting products. They also wanted to expand their product range to include imported park barbeque facilities to round out their urban furniture range. In addition by responding to design trends they aimed to be developing urban furniture and lighting designs that secured their product range the reputation of evolving and being functional and responsive to market demand. So while there is a steady demand for their legacy Victorian and Edwardian period lantern designs, they have gradually been phasing in LED models. Another growing market in urban lighting is that of light pollution reducing complete cut-off lighting products. The review process with the client settled on a very clean and modern design akin to that for a technology company. The street furniture and street lighting market in New Zealand is flooded with import agents sourcing product from China or having bespoke designs manufactured for them there. Many of the brands are generic wordmarks that rely on the words “street” and “furniture” and those with symbols are tired looking visual themes that lacked an associative visual link to the products. These generic and somewhat similar looking brands made it possible for renamed and rebranded WindsorUrban to distinguish themselves. 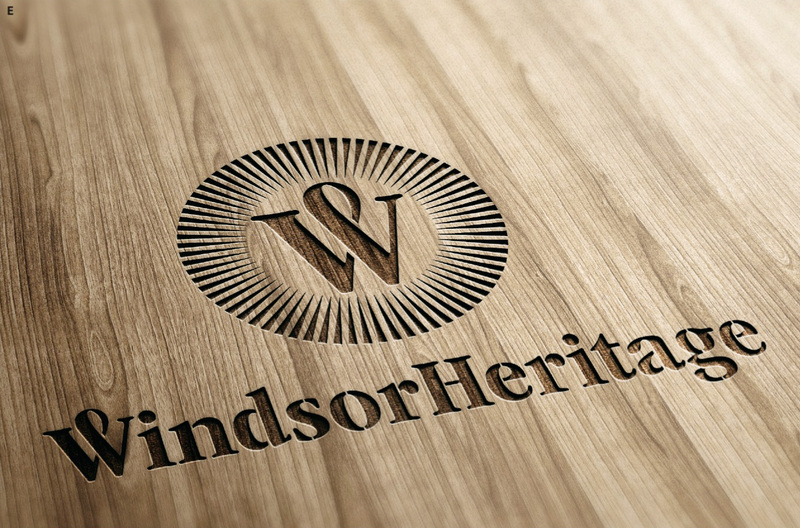 It was optimal not to try and make their logo literally describe WindsorUrbans business; their logo Is an identifier. Their legacy logo is evidence of how many clients would like their logo to describe every aspect of their company. This is natural, they’re proud of their achievements in business. It is also problematic however, and often leads to a restraining identity or gets frustrated by a product range as diverse as is the case with WindsorUrban. The logo works as a signpost that identifies the company and alludes to its attitudes and values. There are many companies who use illustrations who have been convinced by well-meaning but under-equipped designers that these are logos. 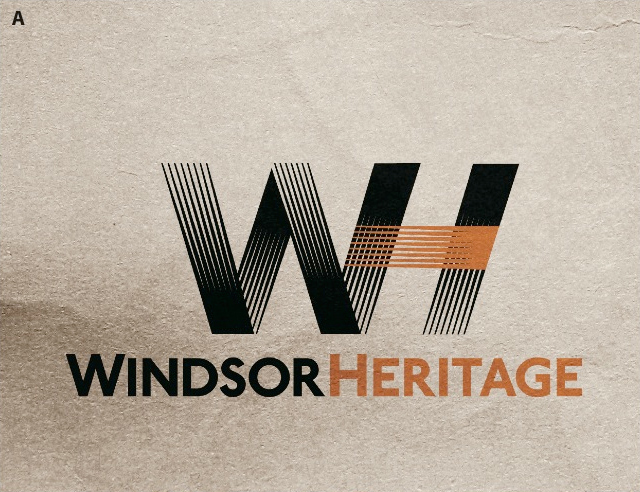 The legacy Windsor Heritage logo with its Victorian lantern drawing is an example of this. A logo is a shortcut, a visual language that is quickly recognizable and memorable. An illustration is a drawing or photo that helps to explain text. Speaking with the most direct and clear voice is always more successful than the convoluted or overwrought. We settled on a design that was friendly, warm and technological looking, and crucially, that presented a complex and divergent product range in a way that was confident, engaging and well resolved. The combination of the logo symbol, visual system (typeface, colours, layout, imagery), and editorial tone has worked together on the catalogue website and in print publications to form a unique and cohesive message for the company.